La Tagliatella is a restaurant inspired in Italian cuisine. 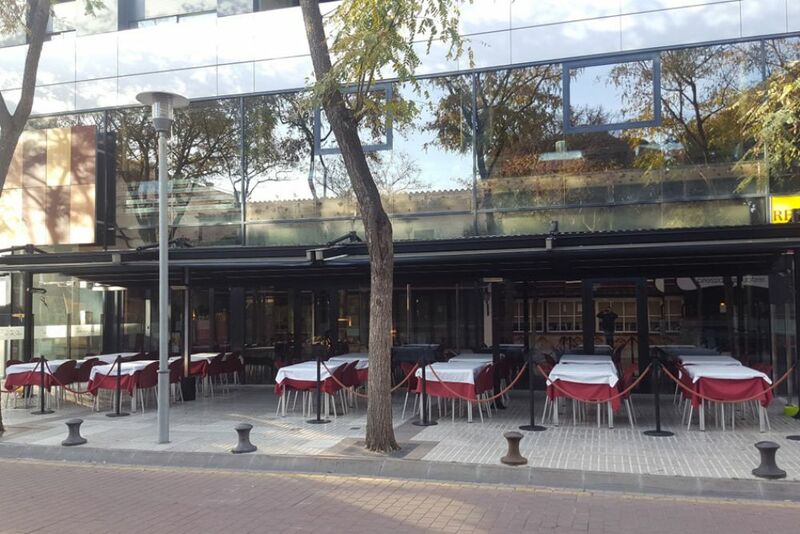 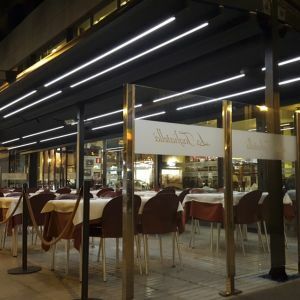 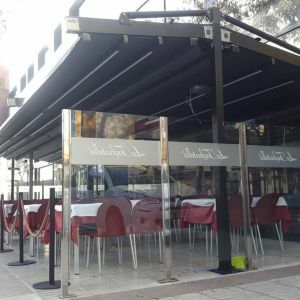 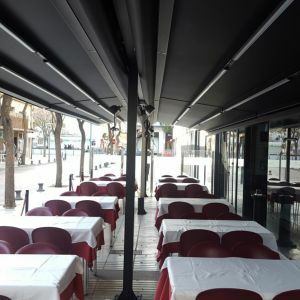 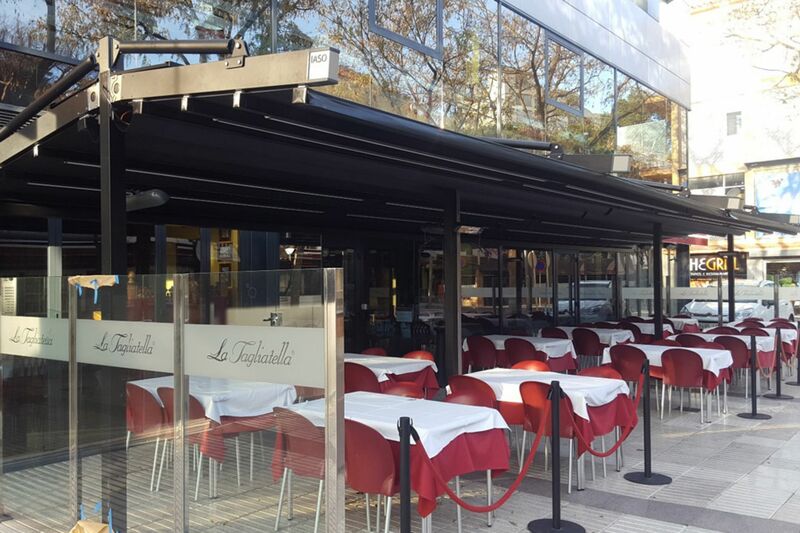 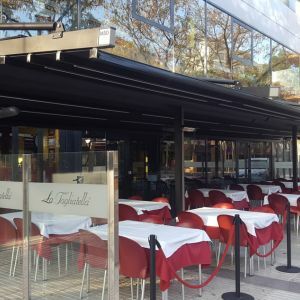 This restaurant in particular is located at the centre of Platja d’Aro, in a privileged part of Costa Brava. 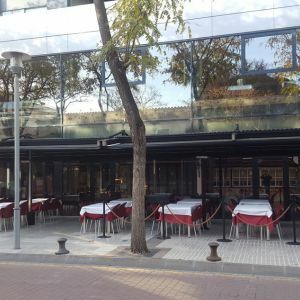 It is a prime site, one of the prettiest areas in Girona. 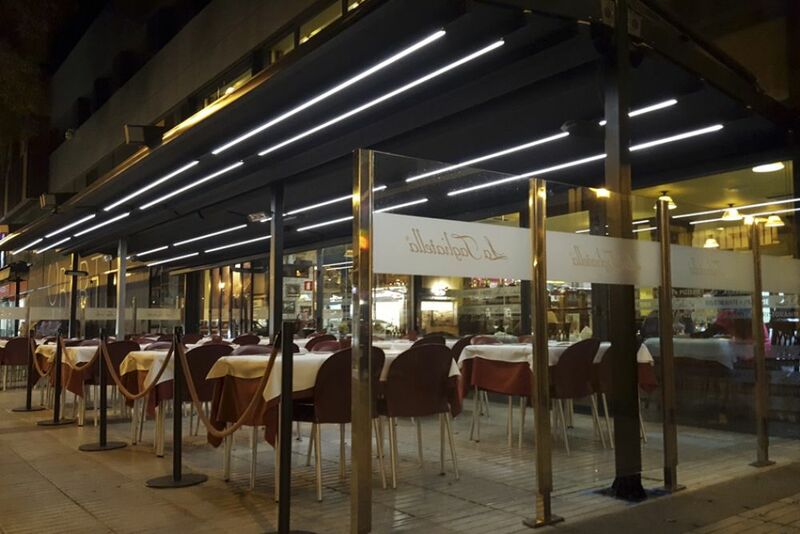 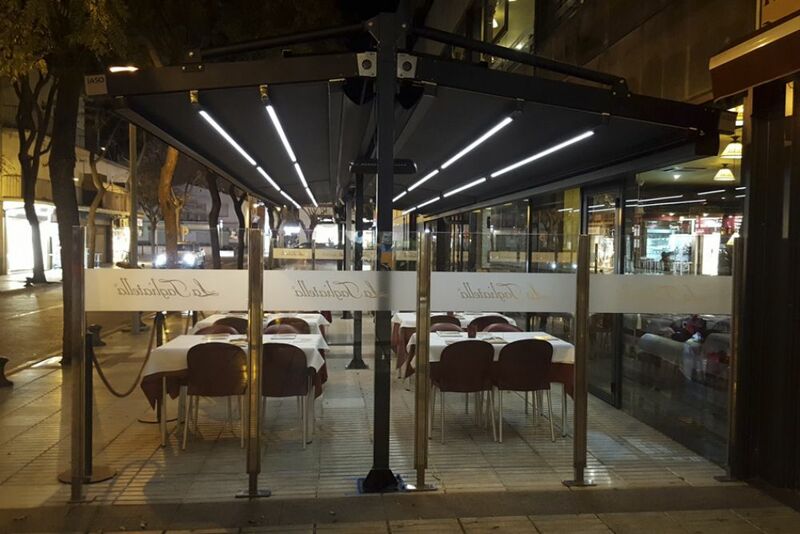 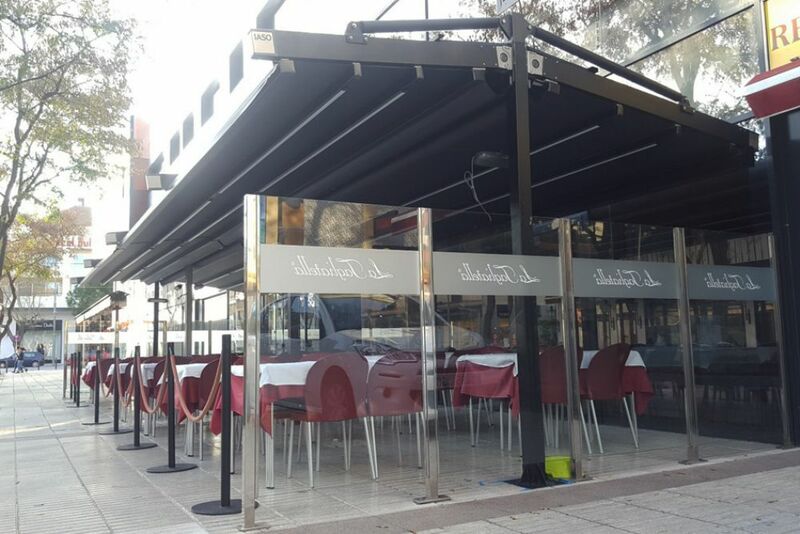 The objective of this project has been to cover the outdoor terrace area of the restaurant, to enjoy and take full advantage of it. 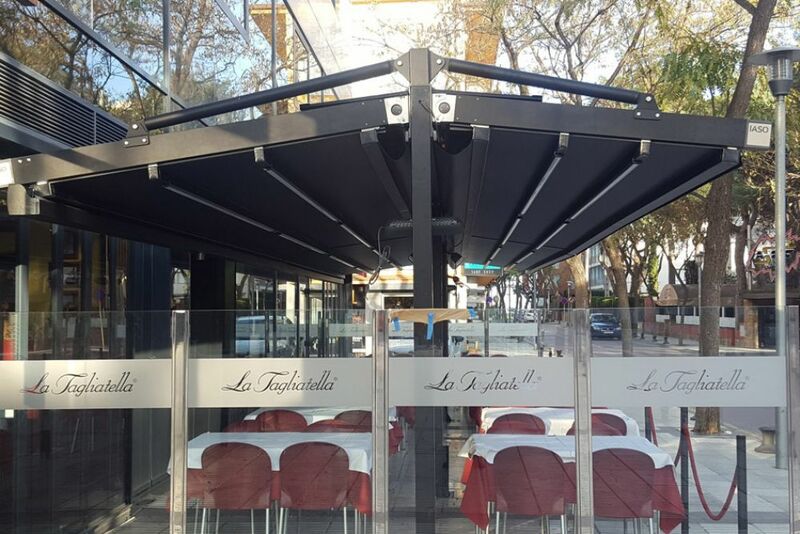 To this end, a solution has been designed with Argus-type pergolas with straps and motorised roof which allows the system to be retracted. 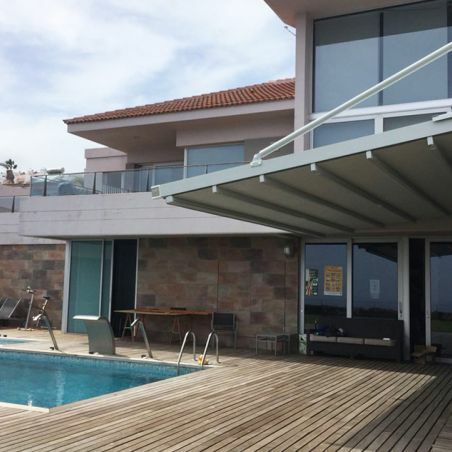 The project also includes a rainwater gutter. 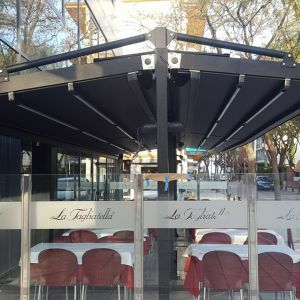 The basis of this project is the installation of two continuous Argus pergolas with lacquered aluminium guides in Anthracite S and a Buram tarpaulin in black. 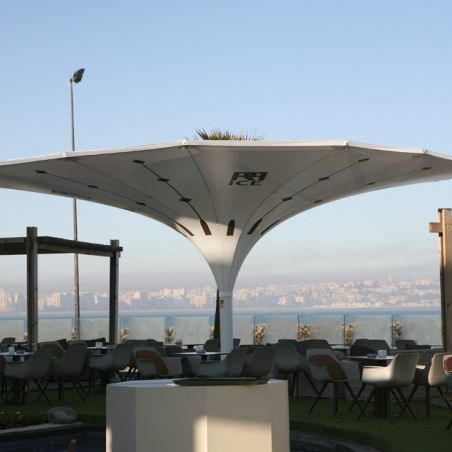 The structure consists of galvanised and lacquered straps joined to special posts. 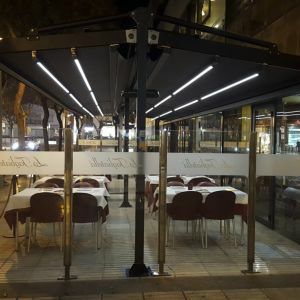 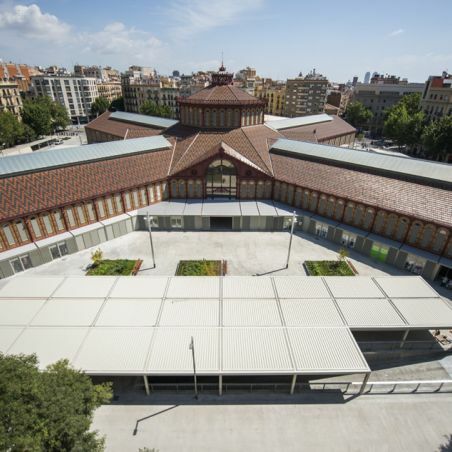 An add-on has been included in this project to solve rainfall problems. 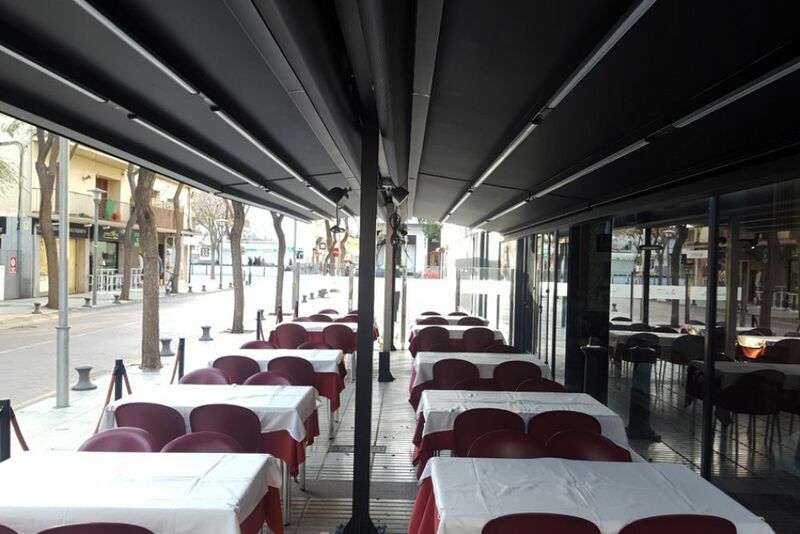 This is a gutter to collect rainwater at one end of the pergolas. 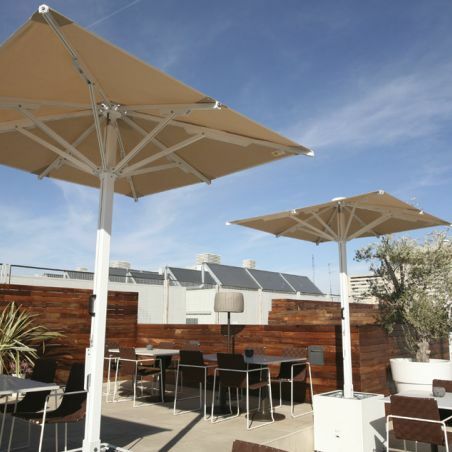 They are also endowed with LED lighting in the roof bars, and heaters, in both pergolas.